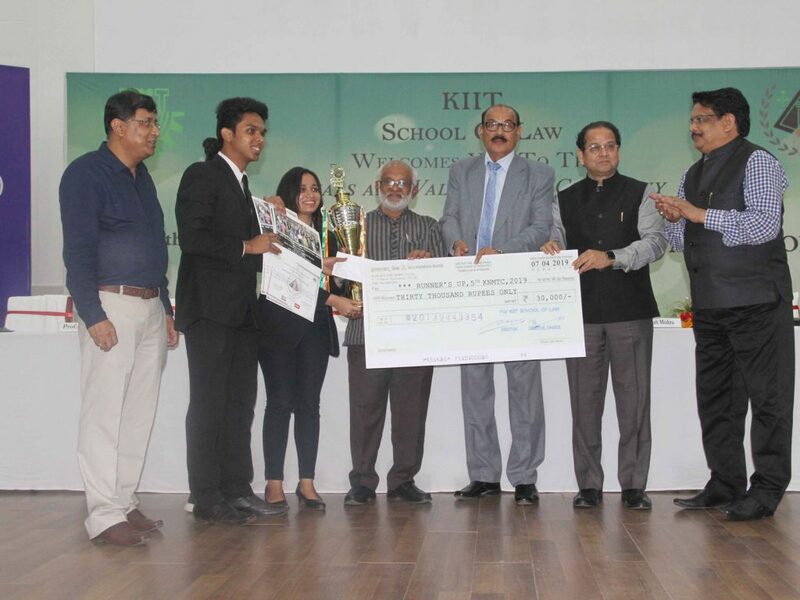 The Valedictory and Prize Distribution Ceremony of the 5th KIIT National Mock Trial Competition 2019, organized by KSOL, was held on 7th April, 2019 at Campus-11 (Biotech.) Auditorium. The function was graced by Hon’ble Justice Mousumi Bhattacharya, Judge, Calcutta High Court; Hon’ble Justice Bibek Chaudhuri, Judge, Calcutta High Court; Mr. Surya Prakash Mishra, Advocate General of Odisha; Mr. D.P. Dhal, Sr. Advocate & Vice Chairman, Bar Council of India and Mr. Ashok Kumar Mohapatra, Sr. Advocate , Orissa High Court. Moreover, Prof. H.K. Mohanty, Vice Chancellor, KIIT Deemed to be University; Prof. N.K. Chakraborty, Director, KIIT School of Law and Dr. Paromita Chattoraj, Associate Dean and the Convener of the programme, were also present. 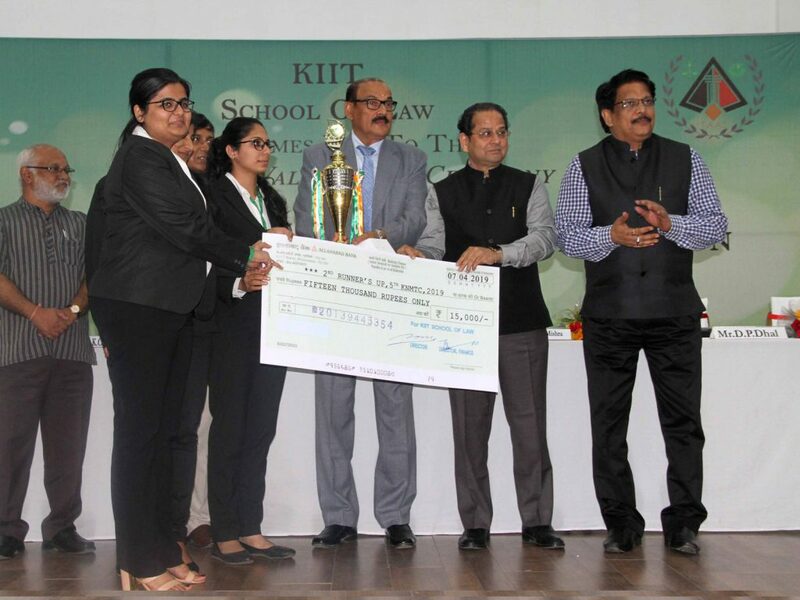 The team from National Law University, Odisha, Cuttack was adjudged the Winner, 1st Runner up was Symbiosis Law College, Hyderabad, 2nd Runner up was Amity Law School, Noida, Best Memorial-Lloyd Law School, Greater NOIDA and the best advocate award was given to Ms. Khubi Agarwal of G.L.C Mumbai. In his presidential address, Prof. H.K. Mohanty praised the students for their relentless effort to improve upon the advocacy skills, which they displayed during the competition and hoped that they will keep up the good work. 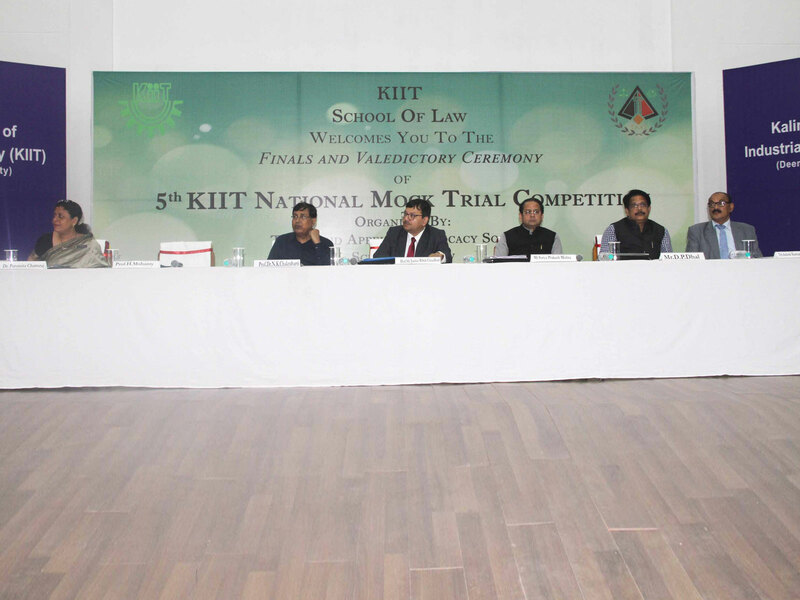 All the Dignitaries spoke about the performances of the participants and the various skills involved in Trial Advocacy. 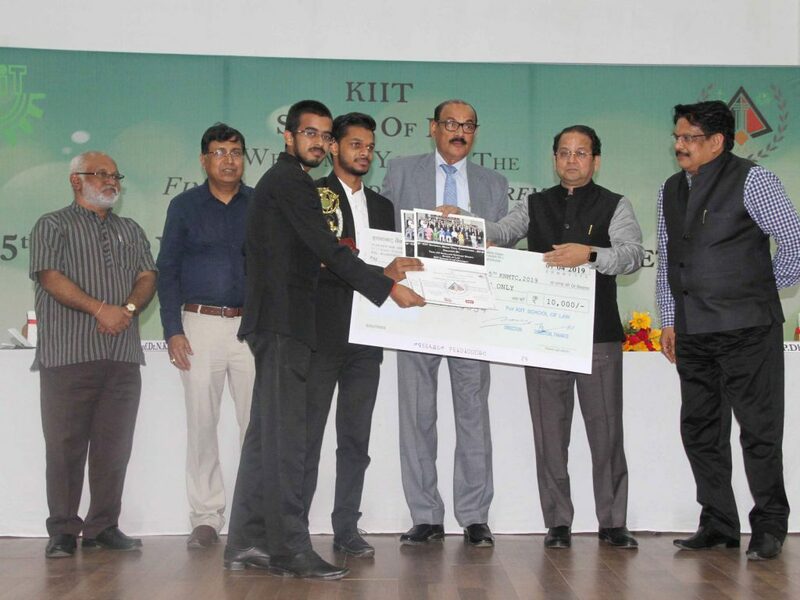 They also lauded School of Law for organizing this competition in such a professional manner. Vote of Thanks was extended by Dr. Paromita Chattoraj, Associate Dean and Convener of the programme.